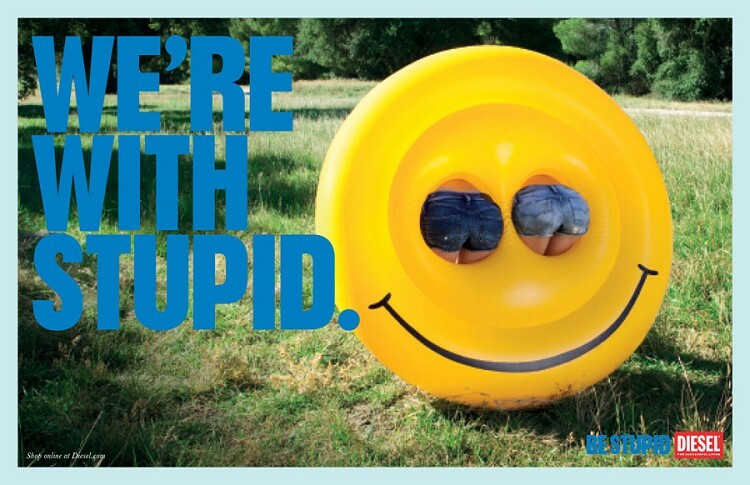 For a fun look at some really creative advertising, check out these slides from the Diesel “Be Stupid Advertising Campaign”… Take a look… Don’t be stupid! “Be Smart” – that is what our parents and teachers told us since we were young. 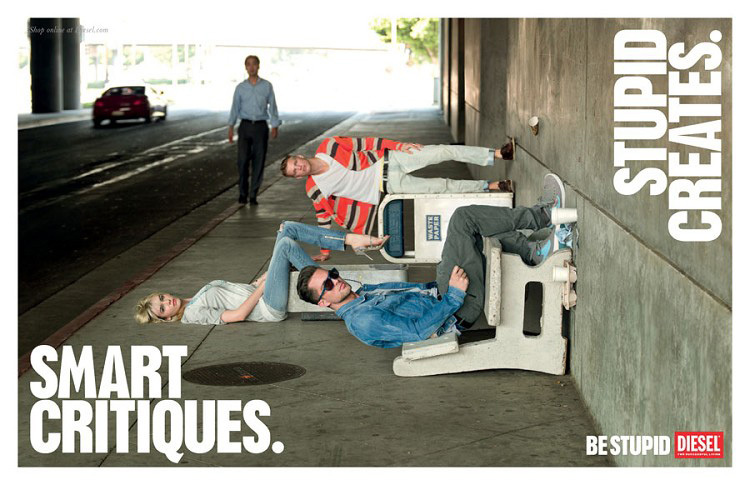 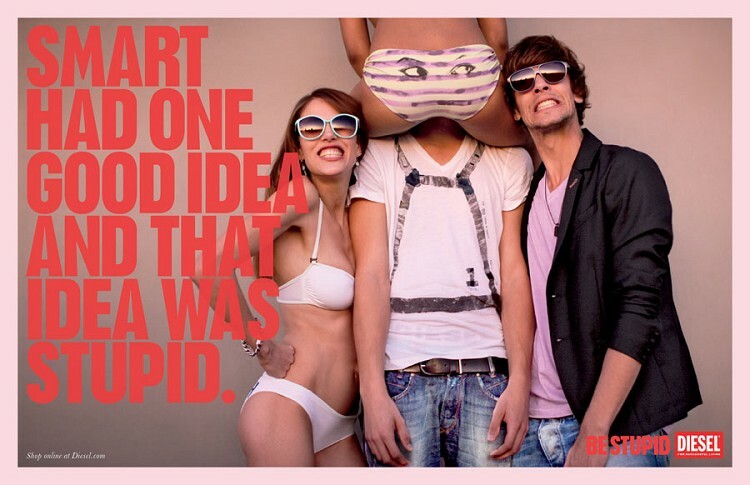 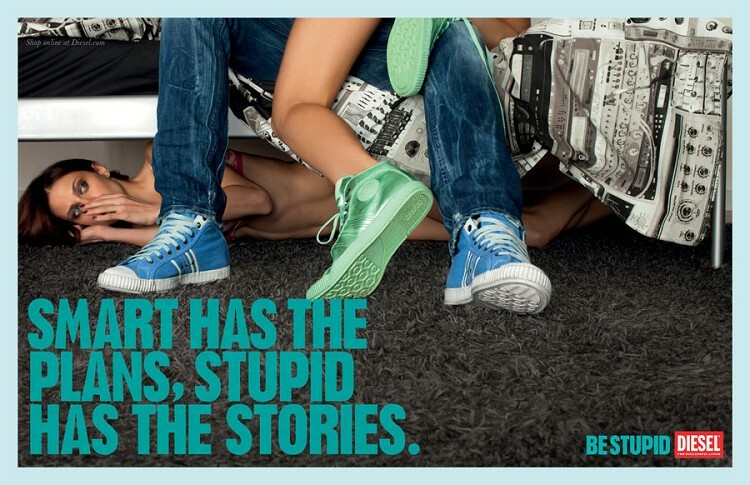 While Diesel, takes “Be Stupid” as its philosophy in a recent campaign. 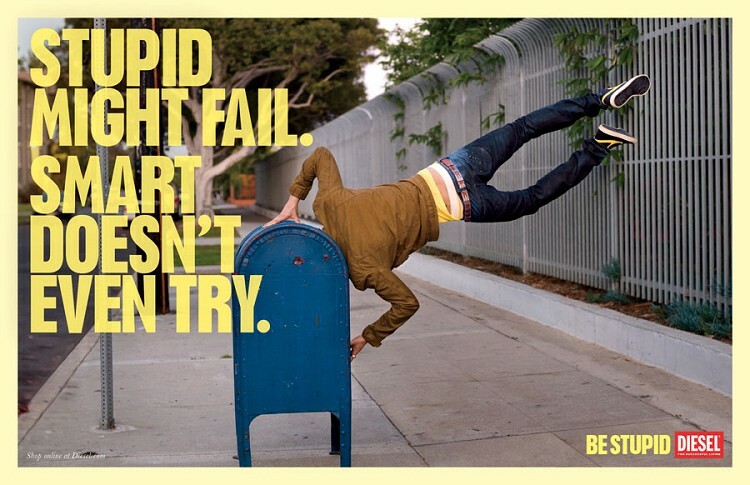 Diesel’s campaign from Anomaly New York is just plain stupid. 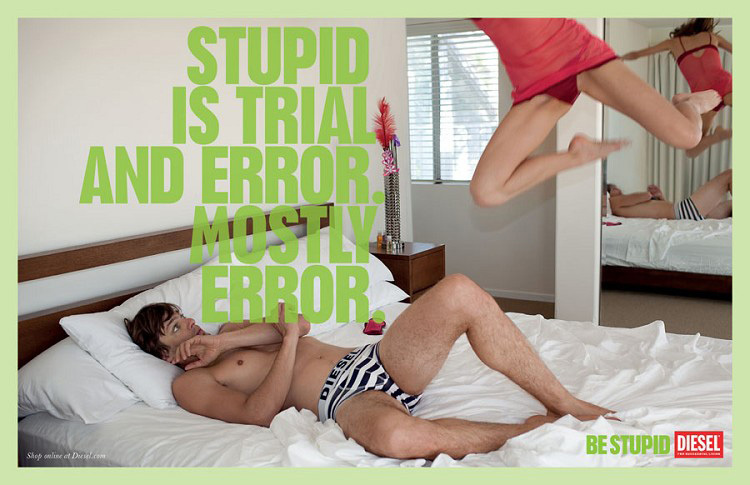 The risqué work celebrates stupidity as a kind of liberating antidote to intelligence, which, as we all know, can really ruin a good time. 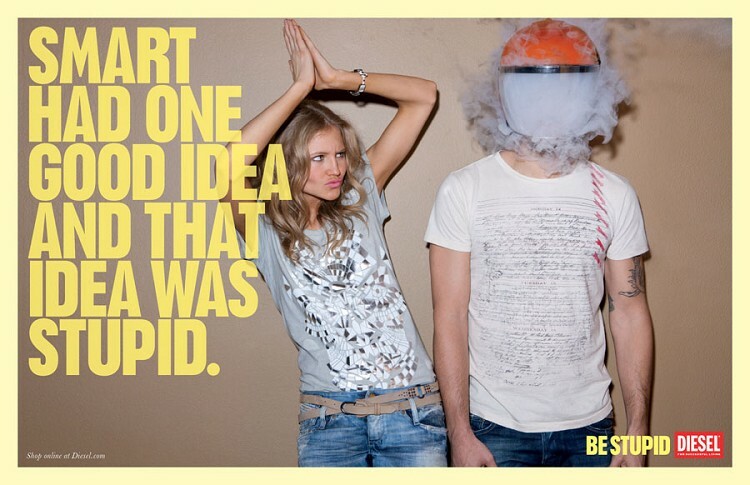 According to the brand’s ‘Be Stupid Philosophy,’ stupid is the relentless pursuit of a regret-free life. 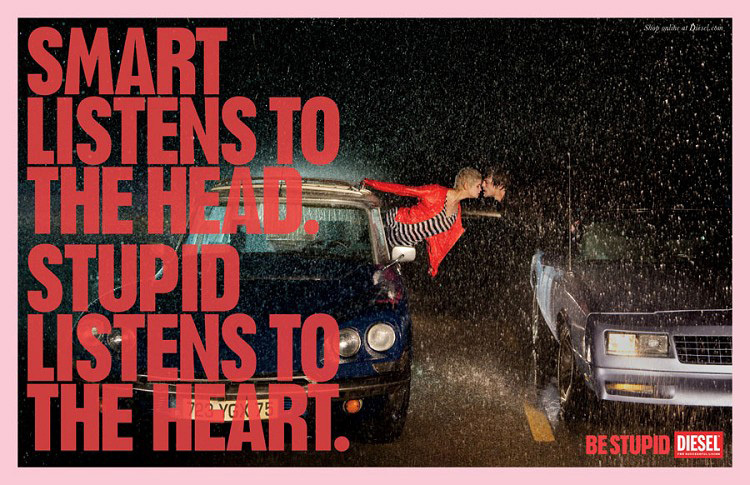 Only stupid can be truly brilliant. 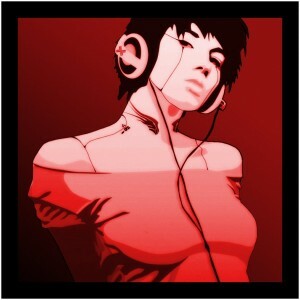 Posted in • media and tagged diesel on January 7, 2016 by aubadegirl.